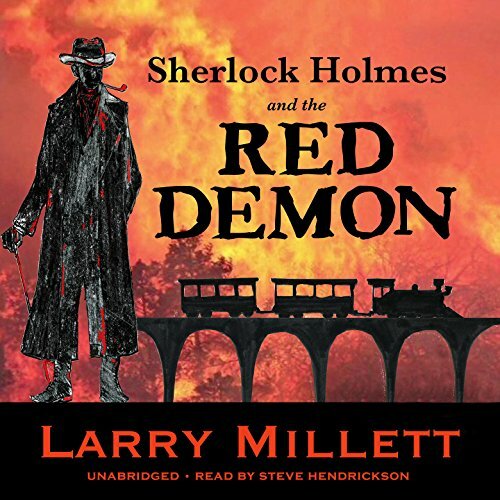 Set against the backdrop of the real, devastating Hinckley forest fire of 1894, Sherlock Holmes and the Red Demon is the tense and atmospheric first novel in Larry Millett's classic series of adventures that brought Sherlock Holmes and Dr. Watson to Minnesota. 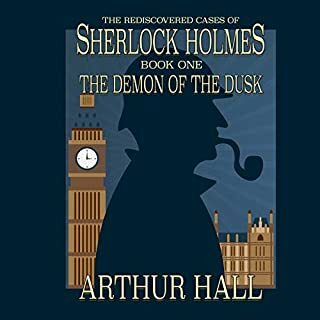 What did you love best about Sherlock Holmes and the Red Demon: A Minnesota Mystery? Sherlock and Watson in America brings a new point of view and the introduction of several wonderful new characters. 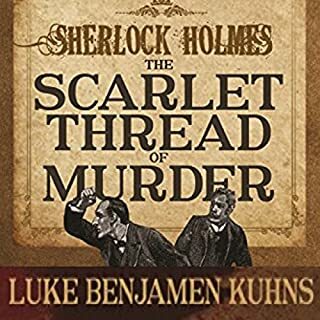 What was one of the most memorable moments of Sherlock Holmes and the Red Demon: A Minnesota Mystery? The scene where Sherlock is nearly lost to the raging fire at the site of one of his rare failures. What does Steve Hendrickson bring to the story that you wouldn’t experience if you just read the book? He makes the story come alive so that you can almost feel what the characters are experiencing. 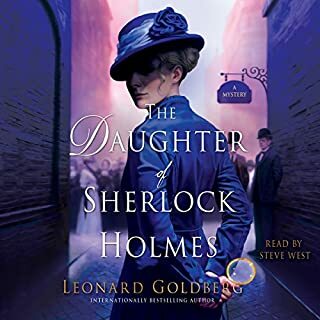 This book is a great beginning to a fabulous series of American adventures for Holmes and Watson. Sherlock investigation; set in America; engaging. 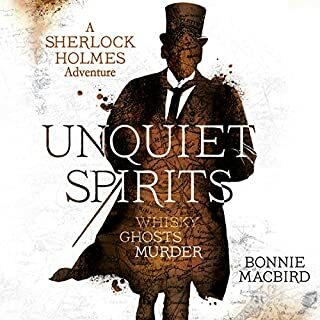 This story begins with an introduction that authenticates the event as a Sherlock Holmes investigation and the journalling as Watson’s account. I was fully drawn in and convinced. Holmes is approached by the executive to James J. Hill, an American railroad baron. The baron seeks to engage the greatest detective, Sherlock. Holmes of course, to find an arsonist who is threatening to burn a major train line in Minnesota. Holmes and Watson travel to America to begin the investigation. Watson chronicles the trip as well as the investigation once they reach the rustic town of Hinckley. The initial investigator has gone missing so Holmes traces his steps. He interviews the town marshal who appears to be in someone’s pocket; a woman who owns a bordello just on the edge of town and who is suspect of penning the threatening letters; an obstructive newsman; and an infamous logger who is reminiscent of a pirate. 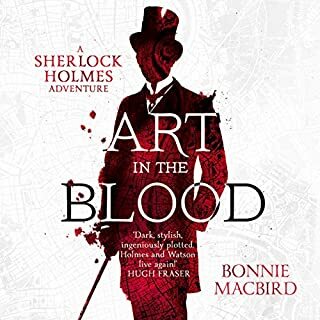 Holmes and Watson face assassin attempts and are rescued by a surprising, backhills character. The suspects multiply although they are eliminated one by one by Holmes until he uncovers the true demon. He has to race from one town to another, serving as the locomotive coalman/stoker, as he tries to stop the villain. There is good intensity in the race to the end confrontation. The story is set around a true fire disaster with a description that is horrifyingly tragic. The historic details of the travel, economy, communities and trains is well done and added to the engaging mystery. At times the characters seemed a bit outlandish but they added a bit of humor. I am not a Sherlockian expert and haven’t read the original series in many years. 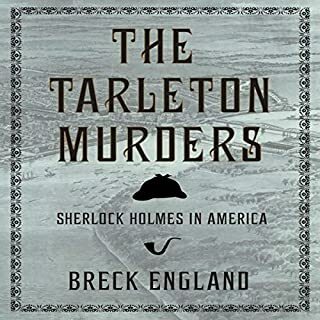 The story includes many details of observation and deduction attributable to Holmes, and leaves out some of his more notable flaws. It does capture the exasperation that Watson sometimes experiences with Holmes’ volatile and arrogant character. I enjoyed the mystery and the audible rendition. This would be appropriate for young adult readers/listeners as well as adults. I recommend this to Sherlock and mystery fans. Audio Notes: I thought Steve Hendrickson did a great job with the narration. He especially captured Holmes’ superior nature and Watson’s frustrations. He provided distinct voices consistent to the other characters too. The narration enhanced my enjoyment of the story. I received the audio book from the publisher through Audiobook Jukebox. Great listen. The story is excellent and especially the end will make you feel immersed in the tale. This is one of the better SH pastiches written in a similar style to the ACD originals. You’ll have to put up with some ‘pants’, ‘sidewalks’, ‘suspenders’ and a few other Americanisms that do grate a bit. The reader (obviously American) does quite a good job on Holmes and Watson and the many American characters with some, er, ‘interesting’ foreign accents thrown in. Definitely better than some of the other truly awful readers of the many other non ACD Holmes stories out there. Overall a good story with some memorable scenes and an authentic feel to it. I see there are 8 books in the series and I suspect that the credibiility of H & W making so many visits to Minisota will be stretched severely but I’ll certaining try a few of them.